It’s all about you… and what you can win! What an amazing week here in the Modern Wedding office. We are super excited about our biggest ever competition and the upcoming Bride's MADE edition! So what's it all about? Well... you. 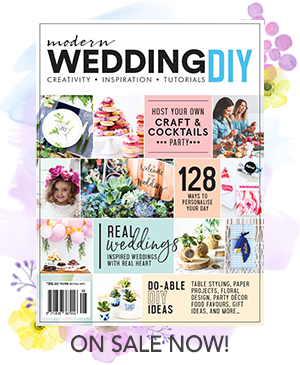 The next edition of Modern Wedding (published in June) will be an issue dedicated to you and what you want. We are using Facebook to find all this out - we'll be after romantic stories, opinions, photos, questions for our panel of experts and even articles from our brides who fancy writing! So watch out for announcements and requests over the next 5 weeks. To start the edition off with a bang - we have posted our biggest competition ever! We are asking you to take a photo of yourself reading Modern Wedding and enter it into the app on our facebook page and get your friends to vote for you. The tabs are on the side of our facebook page and are called Enter Here and Vote Now. We have some amazing prizes to win! A honeymoon in Lombok for 5 nights staying at the Oberoi in their Luxury Pavillion! A bridal gown worth $3,000 from Brides Desire by Aires & Graces. These runner up packs will be added to as the weeks go on so stay tuned to see who has jumped on board to offer you more! $200 voucher towards gift registry package with thankyou gift registry services. Make sure you get your entries in early so you have time to get votes! Enter now!